The Hope Street Youth Center provides a safe and positive environment where students ages 8-17 years receive homework assistance, academic support in the areas of math, reading and writing, one on one tutoring and mentoring, as well as various recreational activities (such as foosball, pool, yoga, and circus arts) that promote a positive self esteem as well as a healthy lifestyle. Volunteers and staff assist students with their reading, writing and math homework and provide recreational and social activities. Homework Lab - The Youth Center classroom provides a supervised and safe environment where students may complete homework, read, study, and get help with their homework assignments when needed. One on one specialized tutoring is also available helping students reach appropriate academic levels. Recreation, Arts, and Cultural Enrichment - After completion of homework, youth have options to participate in recreation and wellness acitivities. Enrichment classes include yoga, focusing on healthy, body, and mind; Circus Arts workshops, offering fun coordination activities like juggling and creative movement, as well as visits to the circus; dance such as ballet and hip hop; and structured art classes, encouraging creativity. During summer months, students have the opportunity to participate in field trips to local cultural venues, including museums and colleges. College and Career Development Activities - Youth will participate in college and career development workshops. Workshops will enable students to apply for financial aid, apply for college, understand the college entrance exam process, conduct a job search, perform/practice an employment interview, conduct career and college research, and receive specific training and information about careers. Field trips to local colleges and universities will expose students to a variety of campus environments. Teen leadership workshops are also offered. Mentoring Relationships - Students will develop mentoring relationships with staff and volunteer through their involvement in Youth Center activities. Group workshops will develop team-building skills and work-study case management will develop problem-solving skills, building upon already existing positive mentor relationships. For more information, please contact us and ask to speak to our Youth Center Coordinator at (213) 742-6385. This summer, Hope Street students are engaged in interactive STEM programming that is educational and fun! Weekly topics will include: zoology, ecosystems, robotics, forensics, astronomy, geography, physics, art and oceanography. 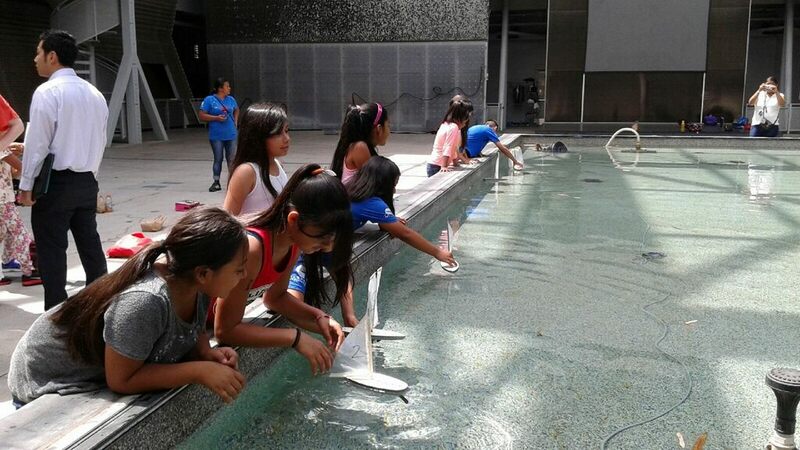 Each week 100 kids take a field trip to reinforce their classroom learning.